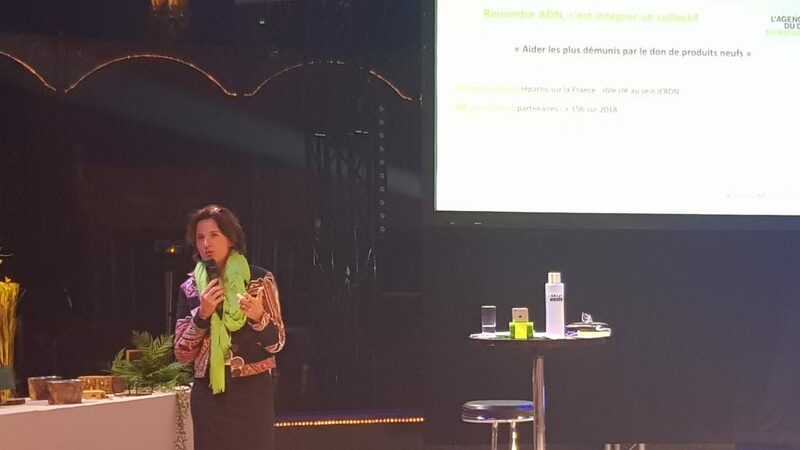 The Agence du Don en Nature (ADN) association hosted its annual evening reception at Paris’s Cirque Bormann-Moreno on 28th March to mark Don en Nature (‘Donation in Kind’) Week, with the focus this year on childhood vulnerability, using the hashtag #DessineMoiUnDon. The association took the opportunity to look back at what it has achieved over the past 10 years and outline its goals for the future, as well as to present its activity report for 2018, written and produced by Altavia Paris, which has supported ADN since it was founded in 2009. 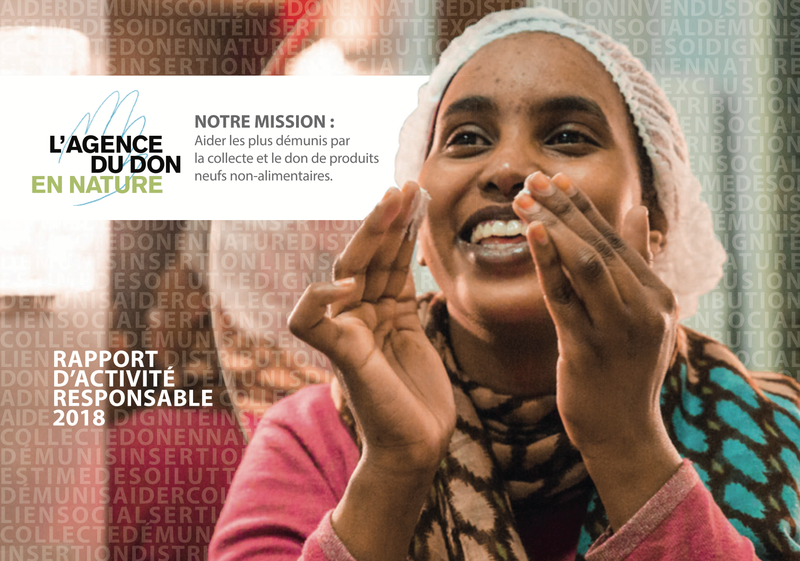 The Agence du Don en Nature association aims to help those in need by collecting new non-food products to donate. “Driven by a strong desire to fight waste, the founder of ADN came up with the idea, 10 years ago, to create an original model based on reclaiming goods that had not been sold and donating them to those most in need”, the association’s President, Christian Ringuet, explained in his opening address. “There are currently 3 million children in France living below the poverty line”, he noted with regret, going on to outline their original approach to fighting childhood exclusion among young people from poor backgrounds – a phenomenon that stems largely from the materialistic attitudes of other children. This is something that David Besse, Director of the La Bièvre branch of the Fondation La vie Au Grand Air / Priorité Enfance, a foundation that works with ADN, was also keen to point out: “The goods that we receive and the socio-aesthetic workshops that we hold help these children to cut through the stigmatisation, something that can be detrimental when it comes to forging themselves a trouble-free future. Of course, branded or high-quality products boost a child’s self-esteem. This in turn enables them to become an ordinary child, even if they come from a far from ordinary background”. Likewise, ADN’s 2018 impact study conducted by A.T.Kearney showed that 80% of those with access to high-quality products had greater self-confidence. An encouraging set of figures pertaining to the work that the association does was also presented, revealing that 30 million products had been redistributed, 1,000 tonnes of waste avoided, 156 new charity partnerships formed and 41 new donors enlisted. This strength of commitment is a characteristic shared by writer Patrick Bourdet: “I don’t think these associations realise just how valuable they are. Their day-to-day activities really do change people’s lives and the paths they take. The companies that donate also play a key social and societal role. So come on, all you companies out there, get involved!”. Indeed, as lawyer and President of the APATE children’s association Emmanuel Régis demonstrated with his testimonial, anything is possible! “The arrival of a child with a disability brings with it big changes for the whole family. There is a great risk of isolation and exclusion, as was the case with my family. The 5 years I spent at the APATE helped to boost my self-confidence and allowed me to develop alongside other children”. This is the overwhelming sense that filled the air at this amazing event – that there’s nothing you can’t overcome with passion and conviction and that anything is possible! 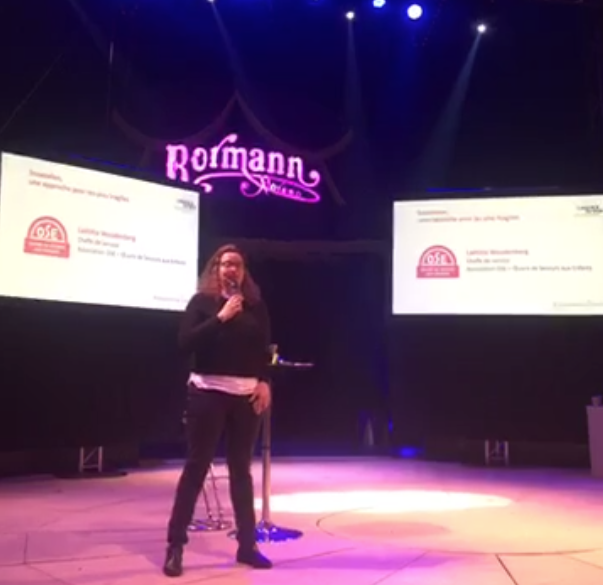 During the annual evening reception on the theme of childhood vulnerability, Laëtitia Woudenberg, Deputy director of one of the OSE association‘s offices, introduced the Snoezelen approach that they use to reach out to and support vulnerable children. The Snoezelen project, which originated in the Netherlands, was developed in the 1970s. It takes its name from the contraction of the words snuffelen (to snuggle or to sniff) and doezelen (to doze), which can be expressed in terms of sensory exploration, relaxation and enjoyment. The aim here is to help children who find it difficult to manage their emotions by encouraging them to relax so that they can better understand them. With this in mind, the OSE plans to create a number of rooms offering different types of settings, including a white room featuring warm, soothing lighting, a touch-sensitive room designed to stimulate the children’s sense of touch and a dark room with a starry sky created using ultraviolet lights. Everything inside these rooms will be designed to allow the children to discover their feelings and emotions in a new light. Whilst the approach is aimed specifically at children aged 5 to 11, the OSE is currently helping 55 individuals between the ages of 5 and 21. Over the age of 11, many of the children have never learnt to control their emotions and need help in performing day-to-day tasks. “The children that we help come from very complex family backgrounds. We aim to use the Snoezelen approach to teach them not only to let go a little but also to put words to their emotions”, Laëtitia Woudenberg explained. The Snoezelen method draws on all five senses to create a unique emotional experience for unstable children and children with disabilities.